As the first woman MP to take her seat in 1919, Nancy Astor benefited from the activities of the campaigners for votes for women, and yet she is not known for her support for the cause. There is a seeming paradox of someone presumed to be against the Suffragettes being the first to take advantage of this franchise reform and standing in a constituency (Plymouth Sutton) where the majority of those actually able to vote were likely to be women, as so many of the male voters were at sea or deployed elsewhere. 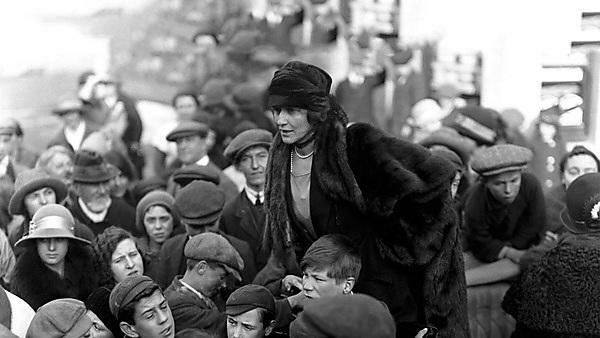 In fact, Nancy Astor (who had personal experience of the impact of poverty on family life from her early childhood) had long been politically astute, pushing her husband into politics and taking an active interest in local philanthropy – in itself a very political activity. This public lecture by Professor Judith Rowbotham from the University of Plymouth celebrates the centenary of Nancy Astor taking her seat in Parliament and takes a fresh look at a remarkable woman whose impact on Plymouth – before and after 1919 – was significant. Entry: £3 per person (ticket includes entry and one tea or coffee per person). Pay on the door or book in advance by phoning 01752 395028 (Monday-Friday, 09:00-17:00). The event is a #CHITCHAT? research initiative of the University's Institute for Social, Policy and Enterprise Research (iSPER).